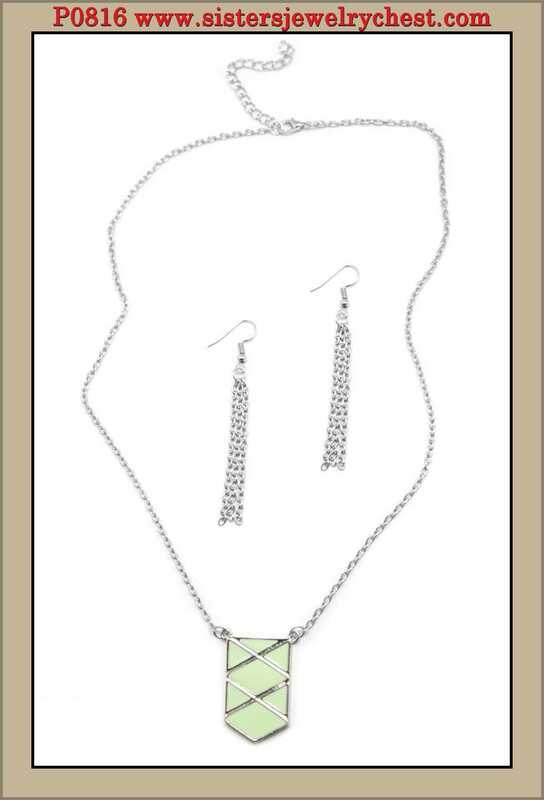 Glazed in a minty green finish, a Spearmint plate swings from shimmery silver chains. 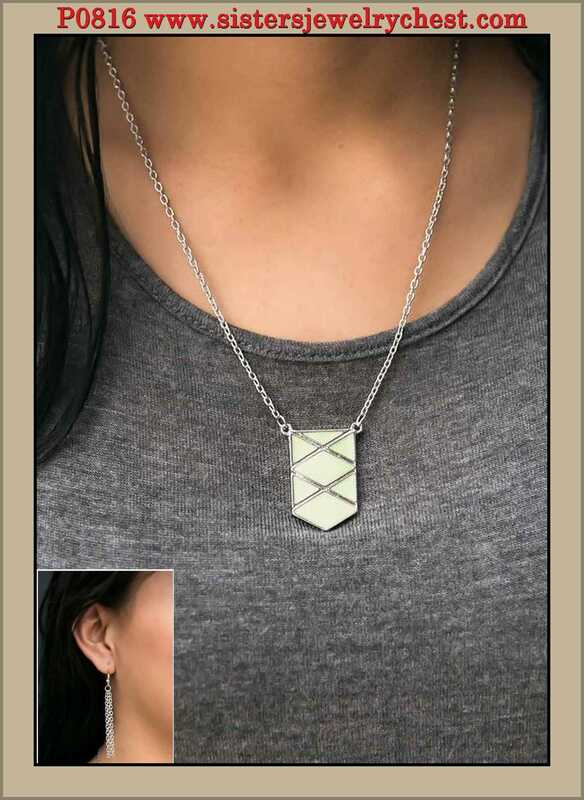 Brushed in a shiny finish, silver bars crisscross across the green pendant, creating a bold contrast. Features an adjustable clasp closure.